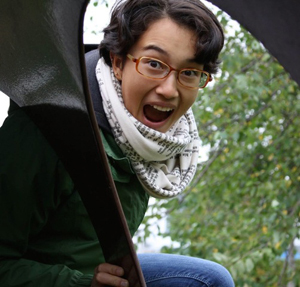 Malahat fiction board intern Holly Lam talks with Constance Rooke Creative Nonfiction Prize judge Lynne Van Luven about the private vs. the public, the growing popularity of CNF, and the precept of murdering your darlings. 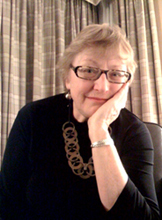 Lynne Van Luven's interest in social issues and the personal essay converges in much of her work, especially in her series of books, Nobody’s Mother, Nobody’s Father, and Somebody's Child, published in 2006, 2008, 2011 respectively. She was the editor of one of the first national anthologies of creative nonfiction, Going Some Place: Creative Nonfiction Across Canada. She also works behind the scenes in the publishing industry as a creative, substantive editor of both novels and nonfiction. Her most recent anthology of personal essays is In the Flesh: Twenty Writers Explore the Body, published by Brindle and Glass and co-edited with Salt Spring Island novelist Kathy Page. 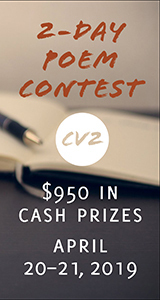 Click here for details on entering the Constance Rooke CNF contest. 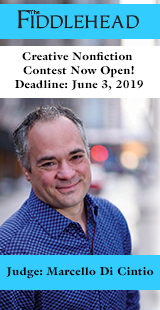 After teaching and serving in various roles at UVic for so many years, what’s it like to return (virtually, at least) to judge this year’s Constance Rooke Creative Nonfiction Prize? 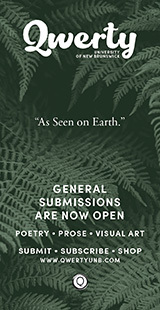 It is wonderful to have the chance to read submissions because it informs me of how the genre of creative nonfiction is being “translated” by new writers. No art form ever remains static, so our reading of it is a way to understand that—and not get stuck in the past. You’ve previously served as a judge for many contests and awards, including one for the Malahat back in 2000. What do you enjoy about judging contests? I imagine you wouldn’t keep saying yes if you hated it. I just judged another contest earlier this summer, so you are right: I am not a masochist. I guess what I enjoy the most about judging is that it gives me the opportunity for critical assessment. Years of reading CNF, not to mention student writing, has given me an automatic reading framework. As I read, I am absorbing how writers reflect the tenets of CNF: how strong is their voice, how evocative and unique is their diction, how do they capture location and local colour, how powerful are their details, how do they show us what they mean while still imparting essential information… I am always keen to see if the writers can capture a private concern or observation so well that it moves into the area of public relevance. 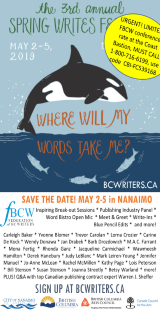 How did your journalism career influence your view of creative nonfiction? 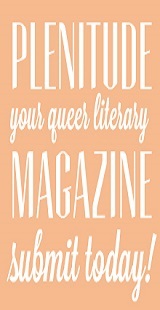 What do you bring from journalism to your practice as a reader and writer of more literary nonfiction? I am laughing as I type this! Initially, journalism inhibited my CNF practice. I was trained eons ago as an old-school journalist right after I had earned a bachelor’s degree in English. That meant I was terrorized into a “just the facts” form of writing, which is what good reportage was expected to be. That meant I found it difficult to allow any personal voice to develop. But I am really glad of my journalism experience because it taught me to conduct research, to value context and to get outside my own head. It taught me to observe and to critique what is happening around me in the larger world. I know you have an interest in the ways nonfiction can affect and discuss social issues. When you start a new project, is a social issue the starting point, or do you think reflection on our society is the natural outcome of storytelling? Sort of a chicken-egg scenario. That is an excellent question! I do believe honest CNF always becomes political in some way because it induces readers to look at a situation from a perspective different from their own. And if you try to write objectivity about your own subjectivity, if you get my inference, then you are likely to bring new ideas to a social issue. For instance, look how Indigenous writers are interrogating prevailing stories about Canadian history and politics these days—and demanding essential changes in both minds and policies. Creative nonfiction is popular these days—lots of memoirs on bestseller lists, plenty of personal essays circulating online and in magazines. Why do you think such a surge is happening at this moment in time? True, CNF has been growing in popularity over the past two decades. We tend to forget that non-fiction was one of the earliest forms of writing. Pictograms on cave walls, for instance, told viewers about human life. I think all writing feeds readers’ hunger to know about the world around them and to escape the inevitable prison of the self. The word count for the Constance Rooke Prize is 2000-3000 words. What are the advantages of this fairly concise length, and what advice do you have for entrants? Oh, concision is a wonderful tool. (I am forever grateful for the relentless “word count” demands of journalism.) It is, as you know, much more challenging to capture a problem or a scene in 3,000 words than in 30,000. Writing to specific length focuses your mind on what is essential and forces you to trim fat and self-indulgence. Critic Arthur Quiller-Couch’s demand that we “murder our darlings”—that is, be our own stringent editors—is one of the best precepts I have ever learned. I wish more people practised it today, especially in the political world.